The next time that you're shopping at the store or online, leave your card in your wallet. With our digital payment options, you can conveniently and securely make purchases in just a few clicks. Apple Pay is accepted at over 220,000 locations and makes your purchases – whether they are in-store, online or within an app – easier and more secure. iPhone 6 or later: Open the Passbook® app, swipe down and tap the plus sign. If your USF FCU debit or credit card is already in iTunes®, just enter your CVV code (the three-digit number on the back of your card). iPad Air 2 or iPad mini: Go to Settings, select Passbook and choose Apple Pay. 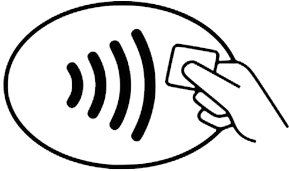 If your USF FCU debit or credit card is already in iTunes®, just enter your CVV code (the three-digit number on the back of your card). Apple Watch: (Your Apple Watch must be paired with your iPhone in order to use Apple Pay) If your card has already been added on your iPhone, open the iPhone Watch app > tap the "My Watch" tab > scroll down and select "Wallet & Apple Pay" > tap "Add" next to the card that you want to add. Enter your CVV code (the three-digit number on the back of your card), if asked. Once your card(s) has been added, follow the verification prompts to activate Apple Pay. If you are asked to contact your credit union for further assistance, please call us at: 813.569.2000. To make us your primary payment option, go to Settings > Passbook & Apple Pay. Tap "Default Card" and choose your USF FCU card. For more information on Apple Pay, please visit apple.com. When you use your USF FCU debit and/or credit card in Apple Pay, your personal information is never displayed or shared with the merchant. In fact, your card information is not stored on your device or the Apple servers and your Touch ID or passcode is required to confirm each purchase. Lost your device? No problem! You can use the “Find My Phone” feature through the iCloud app to quickly put your device in “Lost Mode” and suspend or remove Apple Pay. Also, when your card is reported as lost and canceled, the card is deleted on Apple Pay. Apple, the Apple logo, iPhone and Passbook are trademarks of Apple Inc., registered in the U.S. and other countries. Apple Pay and Touch ID are trademarks of Apple Inc.